Amish use of technology often puzzles outsiders. This is exacerbated when observers see Amish using a piece of technology that doesn’t seem to fit their notion of what the Amish should be. Simply put, people are disappointed when they discover the Amish aren’t as “Amish” as they expected, due to the technologies they allow. Sometimes this leads to accusations that Amish have “betrayed their roots” or some similar sentiment. 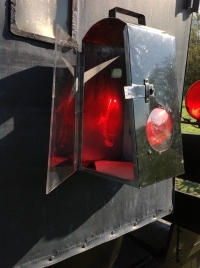 Solar panels, phones, manufacturing equipment, even basic battery-powered implements such as lights are all common-enough technologies used by Amish that can trigger this response. In this thinking, push mowers are “Amish”; engine-driven ones are not. Outhouses fit the bill while in-home plumbing fails. Likewise homemade clothing vs. the machine-manufactured store-bought kind. While it’s true that some Amish themselves feel other Amish have permitted too much technology, the outsiders who cast accusations of hypocrisy more often than not misunderstand the motivation for Amish restrictions on technology. Outsiders usually assume that the Amish reject modern technological “comforts” as a kind of religious asceticism in the same way that monastics take vows of silence, poverty, and sleep on hard beds. Such monastic asceticism is a way of purging the individual from sinful ways. It is a suffering sought for the sake of suffering, and its object is individual salvation. It is therefore very different in meaning from the Amish rejection of modern technology. The Amish purpose for being “old-fashioned” is to preserve the community as a pure offering of love to their God. They do not reject automobiles, electricity, and tractors to seek suffering and redemption through hardship. Rather, each decision about accepting or rejecting a modern “convenience” is based on a consensus about the effect a new product would have on the social patterns of the community (p. 905). Amish attempt to discern whether new technologies would lead to “life-style changes which would hurt community solidarity, create tension within families or between different families, or open the community to excessive dependence on outside institutions” (p. 905). Because outsiders usually misunderstand Amish simplicity as asceticism, they sometimes view Amish decisions about technology as contradictory or hypocritically opportunistic. Amish farmers have, for example, accepted electrification in their barns (only 12-volt service, and not in their houses) to comply with state regulations about refrigerating milk before it is delivered to bottling companies. Amish congregations viewed this decision as an economic necessity allowing them to continue dairy farming and thereby sustain the community. Yet to outsiders who misunderstand Amish motives, electricity in the barn appears like a form of pollution in their image of the old-fashioned Amish….Outsiders who see these kinds of decisions as contradictory sometimes respond with resentment or anger, saying that the Amish pretend to be angels while actually using shrewd tactics to promote their own material well-being (p. 906). As more people learn about the Amish, perhaps this line of thinking by outsiders isn’t as common today as it was in the early 1990s. While the degree of technology used by Amish today is naturally greater than twenty years ago, the basic point has remained–Amish are not motivated by asceticism but rather a host of other community-building reasons. Elaborating on the question “Why do Amish limit technology?”, you could also discuss other factors such as the force of tradition, or the types of technology allowed in neighboring or, for lack of a better word, “competing” congregations. Donald Kraybill gives an example of the latter in The Riddle of Amish Culture, discussing a progressive group dubbed the Peachey church which accepted the telephone. For the Old Order people at the time, “Permitting phones would be a de facto endorsement of the insurgents. In essence, the Peachey church functioned as a negative reference group–a model of worldliness that the Amish hoped to avoid” (p.191). In this mode the technology you allow becomes a way of distinguishing your group from other Amish or non-Amish churches. There are over 2,000 Amish congregations in North America today. The particular technological palette a given Amish church displays results from a host of factors including both community preservation and history. Thus we see a wide range of technological responses across the many Amish churches. At the same time the general question of Amish technology is one that seems to fascinate us all the more, the more entwined our own lives become with technology. 22 responses to Do Amish restrict technology for the sake of suffering? The idea that Amish that accept virtually any modern technology are somehow being hypocrites or have “failed” is still out there. While it may not be as common as it once was, I have heard people make those types of comments about Amish that they observed in OH or PA using a chainsaw, or having electric lights on their buggies, etc just within the past few years. In fact, a year or so ago someone posted a similar comment on Amish America saying that he was “disappointed” after seeing an Amish person using some modern technology or another. Can’t remember what technology they were using, but in the eyes of that person it had made them “less Amish”. In the article quoted, above, they referenced using 12 volt electricity to cool milk bulk tanks. I guess that is possible, but it sure would surprise me if a 12 volt chilling system could actually cool down a bulk tank full of milk that is going in at probably 90 degrees or more. Regardless, whatever technology they are using today is NOT what their grandfathers used … therefore these guys are no longer “REAL” Amish. Just kidding! I probably see this most often reading through comments on local news sites discussing some aspect of Amish life or controversial behavior (manure on the roads or building permits for instance). They’re a venue to vent for people who live in close proximity to the Amish but who do not really understand Amish ways. That said I think there have been instances of Amish overplaying the “religious-exception card” in areas that religious arguments don’t really apply or have dubious relevance at best, which can feed the belief that the Amish are cheating the system or getting a better deal than the rest of us because of “favored people” status. I’m always surprised at seeing those negative comments people in Amish areas make regarding the “presents” left on the roadways for them by horses pulling Amish buggies, getting stuck behind a line of slow-moving buggies and being unable to pass, etc. I’ve actually talked about it with a couple family members, who either lived in or spent significant amounts of time in Kenton, Ohio ( Hardin County ) back in the 1950’s and 1960’s. Not one of them could recall one complaint or one unhappy word about the Amish being spoken ( or written in newspapers and such ) back then. They, too, were surprised at the fairly frequent, negative comments directed at the Amish, which I’ve found largely on local news websites which cover stories about the Amish. This brings to mind a story a friend from Pa. related to me once. A woman called the Lancaster Co. Chamber of Commerce to complain that an Amish farmer working near the road had ignored her when she wanted him to pose for a photo. She was very irate, assuming that the Amish were there simply to encourage tourism and were therefore obligated to pose for pictures. Folks need to realize that Plain communities are not living Plainly for their (outsiders) amusement and feel no need to live according to the expectations of outsiders. Now having said that, I also believe that our lives should serve as examples for outsiders, and we should be living witnesses for those around us. Plain dress and living will not get us into Heaven if our hearts are not right with God. Just a couple random thoughts this morning. If they are not completely coherent, it’s because I haven’t had breakfast yet. I think blogs, or websites like this one, will help in more knowledge of how the Amish culture is, and less mis-understanding of them. Thanks to Erik, I’ve learned so much about the Amish, that I can now distinguish between “hear-say” and the true facts and historical data that he provides. Thanks for explaining yet another “mis-interpretation” of technology and the Amish. I respect their reasonings of having less technology in their homes, and the fact that they electrify their barns for sake of keeping milk in safe conditions, proves that the Amish are willing to compromise with local governments, realizing the importance of refrigeration and milk; and at same time, keeping within their own beliefs. In this day and age, there is little respect for others, and I think the Amish are trying very hard to keep their beliefs and hang on to their way of life, in this ever-changing world we live in, these days. So if some group declares that electricity in the milk house is acceptable, can the family go to the milk house to read a magazine or do other eye-straining activities? Yet that may seem strange to someone that this minister, who refused to own a car, was telling me this while we zipped down the road in mine and he was paying me $.90/mile to do so. The difference is … using something occasionally when needed, versus letting the automobile destroy local community. It is a matter of controlling the effects on the community rather than letting it destroy the community. That is the reasoning anyways, whether it is always successful or the best is debatable, even amongst the Plain people. You make some very valid good and points. we once attended church in the neighboring county, about a 25 mile drive from our house to the church. While we loved that church community and everyone made us feel welcome, it was obvious after awhile that we would always be “those folks from Bellville” rather than someone that they thought of as family. Many of the members had attended that church their whole life and a good many had known each other since childhood. Whenever they decided to do something togethr in the spur of the moment it was natural to include all of their friends and neighbors; us … not so much. So I can relate to your point. Interesting talk you had PC. The fact that hiring a driver and car by its nature is going to be more expensive also helps keep it occasional or based on necessity, at least for most Amish. Though for the more successful businesspeople, cost is probably not as big a discouraging factor, if at all. As a minister I’d bet this is a lesson he has discussed in church before. Interesting to hear you do hauling, I guess I did not realize that. Yeah, I am back to taxi service, part time. I am trying to keep it part time, but once they know you haul, the number gets passed around pretty fast. I do one day a week for a furniture builder, and will do two days a week for produce, one day to Cleveland and one to Akron. And, the occasional odd trips. Like this minister that I mentioned … he called me at 10 pm and asked, sort of sheepishly, if I would be interested in taking some eggs yet that night to the produce distributor, since they needed the eggs first thing in the morning. So I did a late night run. 🙂 It was beautiful, full moon on a quiet south Holmes County night. Poor guy, it cost him $20 to deliver those 10 dozen eggs. I guess he will make up his loss later, but it is a CSA project and he is “contracted” to supply eggs each week. On taxi service, there are about half a dozen ads every week in the newspaper of construction crews, etc looking for dependable drivers. It is a tough life on those construction crews, getting up at about 4:30 in the morning to begin the pick ups, then driving to the job sites, often in Colombus or Cleveland two hours away, then coming home and dropping off all the guys before you get home. That is why there is a shortage of dependable drivers! Too often we tend to “judge the book by it’s cover” not knowing the full details behind the decision process and the reasoning for it. I also think way too often we tend to set certain expectations of others, including the Amish. People tend to lump all Amish in the same group not realizing there are so many different communities of Amish and each has their own ordnung to follow. People have a tendency to be very judgemental of others even when they do not know the facts. This pertains to everyone, outsiders and Amish a like. Because my father was a chaplain in the Army, our family moved very frequently…I attended 10 schools before HS graduation! While there is a strong sense of family (my Mom was youngest of 12), there is not the total sense of community and support had other choices been made. My husband & I married and moved to the West coast–some 3,000 miles from my sister and parents, then in NYC, and quite a distance from my roots and extended family in Allentown, PA. There, we raised our 2 girls, with biannual visits with family, letters, and telephone used to “develop” a relationship. Now, I’m attempting to “rejoin” a family group in NC, where my sister & Mom will be moving to be closer to my sister’s son. Even though we are “family,” I know I will have to be intentional and sensitive in the intertwining of our lives once again: my sister & Mom have many more connections and a greater sense of trust in one another because of their shared physical geography and daily history. On the one hand, having experienced numerous cultures abroad and around the US has given me perspectives (and tolerances) that are invaluable to have. However, it does come at a cost that cannot be measured. I wish I could say other technology — email/Skype/cellphones — is a good “alternative,” but nothing beats day-to-day face-to-face interaction…it’s what weaves the fabric of a family, a community, and greater society. This is all good information to help us understand Amish life better. That’s another interesting misconception Al, that everything is Biblically-based. Huh! Wow, I had no idea, nor would I ever have thought it, that some people might equate the aspects of Amish culture that you, Erik, outlined above with the religious asceticism of other groups ( eg, monks, etc ). I guess maybe that’s because I grew up with a mother and maternal family who mostly lived in Amish communities, sometimes spoke PA Dutch themselves ( even though they weren’t Amish ), or who, once upon a long time ago, were Amish. I wouldn’t think it was fair of those who aren’t Amish to be disappointed or even critical of an Amish person’s use/disuse of, or of an Amish community’s permitting or barring of, certain types of technology. In that sort of situation, I think it’d be an issue best left up to those who are part of the culture/religion/community in which those sorts of decisions are made. That’s a really interesting topic, in many ways. I just never would have thought anyone might equate an Amish person’s disuse of an electric refrigerator, for example, with a monastic vow of silence or self-denial of some sort! In Ohio, Old Order Amish have an exemption from the State that excludes them from reflective triangles on their buggies. They have no markings whatsoever and after dark are only required to display one small kerosene lamp with a red lens. And they seldom use the cart lane making the potential for an accident even worse. In my opinion this goes against being a good neighbor. I literally drive in fear that I might hit and injury one of the Old Order Amish on Holmes County roads and have to live with that on my conscience for the rest of my life. All Amish should be required to use reflective triangles and LED lights. If not, then they you can walk which would be good, because it would allow themselves to get even closer to God. I have seen some Amish groups that shun bicycles but allow the kick scooters, then have seen other groups that allow the bicycle. It would be interesting to hear the arguments behind the decisions. I have spoken at length with a couple of Amish fellows about their choices in farm equipment and the way they do some things. Interesting chats. It certainly causes frequent and sometimes heated discussions around here. English here do understand the reasons for not owning cars, for example, but still get aggravated when the Amish use their tractors or Bobcats or sometimes lawn mowers to get around (often not seeing until someone points out that it still limits them to within the community area). Some of them purposely stay in the middle of the road and barely move in their buggies to not let them pass (it’s very obvious to locals) which just exacerbates the issue and perception. However, the plumbing issue does get widespread scorn around here as no one can really seem to explain how having indoor plumbing affects social and community issues within the Amish, and it can cause problems with health departments. The Amish neighbor couldn’t really explain, either, except that it’s “tradition” and he said he thinks it’s “dumb” (these are Swartzentrubers, most Old Order here do have simple bathrooms now). It’s definitely intentional, although I’m not so sure it’s out of spite. It strikes me more as something they think is funny (teens) – which it’s not because I’ve seen it absolutely cause dangerous situations – or they just simply don’t care. This is not an everyday occurrence, but happens often enough. There is one particular older fellow on our road who does this consistently and makes my usually very patient milk-truck-driver spouse so angry because of the danger it causes on the hills here. I used to just think the man was maybe hard of hearing and didn’t notice the back up of cars, but one day I saw him glance out the back of the buggy and actually deliberately move closer to the middle. I was rather shocked. When I see him on the road now I have to really reign in my annoyance. Around here are mainly Swartzentruber but recently some Old Order and less conservative have begun moving in, and a recent large land auction was held on our street where Amish bought most of the property parcels. I’m curious how things and attitudes might change as our little corner adds a bit more of the less conservative. It would seem tolerance needs to go both ways…though, I have a neighbor (non-Amish), who moves to the middle of the road on a certain hill (going down), as it’s a blind spot (so he says) and creates a danger ….who knows. It may be most helpful — and create better tolerance for and by all — if communities with high concentrations (25%+ of demographic??) of Old Order Amish meet with leaders of said groups to come to a community understanding and agreement. Then, ordinances applicable to each group could be agreed upon and mandated. Leave a reply to Do Amish restrict technology for the sake of suffering?